In the past few decades, all genres have evolved - some more than others - in both elegance and complexity. Strategy games refined the menus and HUD to keep them approachable, as the amount of vital information increased with new systems and mechanics. Fighters, on the other hand, are more about dexterity than strategy games, and if you played Tekken in the 90s, you're not getting any more dexterous as you age, so keeping up with that sort of advancement can be far more difficult. 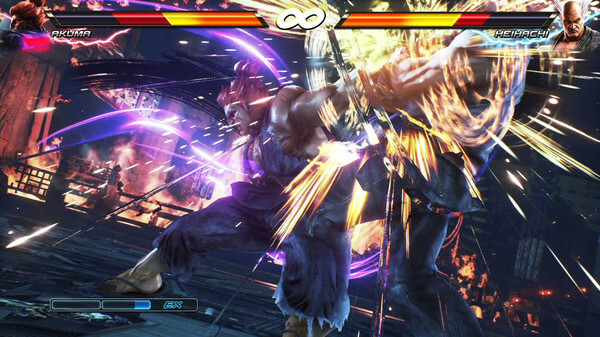 With Tekken 7, it might surprise you just how familiar the controls are. 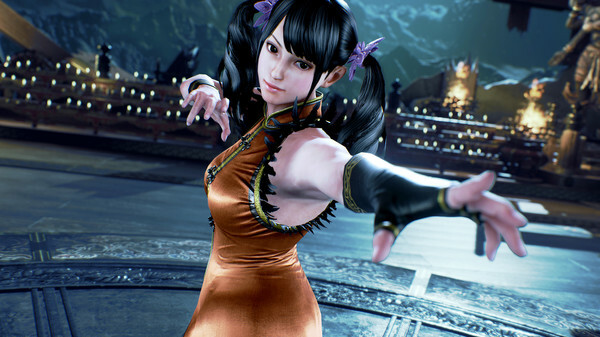 A slew of the characters have carried through the past 20 years since Tekken 3's '96 release, and those characters don't seem to have aged a day. One of King's chain throws I learned in Tekken 3 still works, to the button. Paul's got some new moves, but all his old shenanigans are still around. 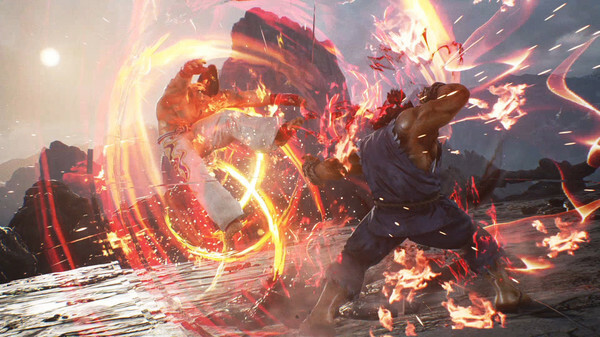 In a world of fresh, new-and-improved fighting games Tekken 7 is the old man on the porch, yelling at the kids to get off his lawn. I love that guy. That's not to say Tekken 7 doesn't do anything new, as has been the trend for years, everything apparently needs RPG elements, and for some reason, the fighting genre chose inventory management. Collecting cosmetic items seems an unusual choice to me, but it's not hard to understand the appeal of customizing characters for folks that enjoy that, and it's easy enough to ignore for those that don't. It's a massive system, with unique gear for each character's multiple slots, some of which even come with a special move attached. It does have the benefit of being entirely devoid of paid microtransactions, which is rare in a system that revolves around loot boxes. Whether that's a good thing or bad thing will most likely depend on how much of a completionist you are, as it seems like filling out the gear for all the characters would be an impossible task, though someone has likely proven that wrong by this point. The gear doesn't detract from the game if you ignore it, and it adds something for a segment of the audience, so it's definitely a net positive value. Solo players looking for a serious, compelling story experience will have better luck with something from Nether Realm, which has produced some phenomenal cinematic narratives in its recent fighting games. 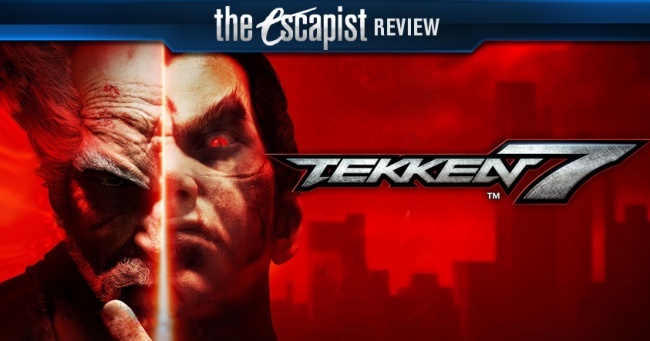 If you prefer something more absurdist, with a semi-erratic plotline, over-the-top characters, and some lost-in-translation dialogue, Tekken 7 is just the thing. Just be prepared to suffer through some impressively monotonous voiceover from the ever-present narrator in story mode. It seems unlikely that anybody could accidentally do that; a perfectly-consistent cadence and tone I can only describe as, "Mr. Rogers on methadone". It's a mystery to me why anybody would do that intentionally, or why the YouTube comments I've seen seem to largely complain about the graphics, which are superb, but it's literally the worst voice over performance I've ever heard. Not to say the actor was bad, as he must be very talented to maintain that kind of mind-numbing consistency. Voice acting aside, there are some fights that may frustrate less serious players, as some of the mechanics - a character glowing white doesn't get staggered by attacks, making them largely untouchable to casual players - are poorly explained, and wholly inexplicable until you know what's going on. Even then, they might take you back to the wild, controller-throwing 90s. The companion to Story Mode offers several one-off vignettes; single fights, featuring non-primary characters in the story, ostensibly to flesh out their role in the universe. Most of them seem more like those random filler episodes of Naruto, but they're still perfectly fun matches. 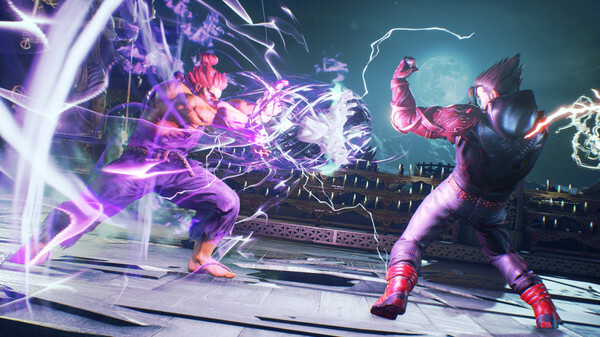 The omnipresent Arcade mode lets you battle a series of increasingly-difficult opponents, earning character experience, leading to periodic ranking matches in which you can level up your current fighter. It's a great way to practice against an opponent that punches back, but the Training mode is where you'll want to be to learn the basics for each of the fighters. It's exactly what it sounds, and what it's always been. If you need an opponent to practice combos on while you master a new character, but you're tired of blocking, hop into Training mode. Playing local VS is as satisfying as it ever was, and the 30-something playable characters ensures no end to the match variety. The new characters' control schemes are in line with the returning fighters, with a focus on simple inputs that can be strung together - combos regularly happen accidentally, too, so it's a bit more welcoming than more technical fare - rather than specials requiring multiple precise movements. The Treasure Battle rounds out the single-player offerings, which is simply an endless series of increasingly-difficult fights, which, as you may have surmised, rewards you with loot when you win. You'll get some Fight Money to purchase items, as well as random gear for your collection, that you can't always purchase. If you want to get yourself gussied up for a multiplayer match, this is where you need to be. 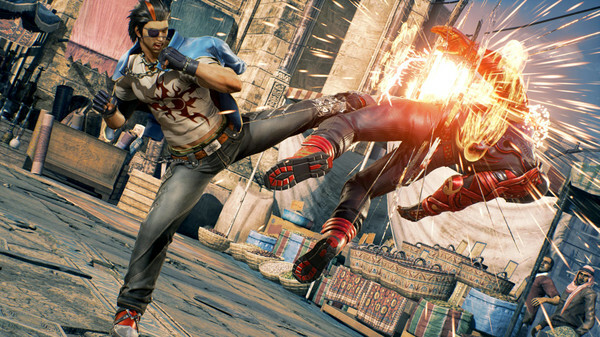 I'm not going to pretend that I'm savvy with the nuances of online multiplayer in fighting games, so I'm reticent to make much of a value judgment on Tekken 7. The standard offerings of Ranked Match and customizable Player Match are available, as well as a Tournament system, which is functional, though I lack a basis of comparison for quality. A casual player's experience with the online multiplayer will be precisely what they expect, which is all you can really ask for sometimes. Bottom Line: If you loved Tekken in the 90s, you'll love Tekken 7. It's a beautiful paint job, rather than a functional redesign, and it is glorious. Recommendation: Get it. Tekken 3 is such an essential part of gaming history, if you played it, you'll want to play 7 for the nostalgic, but modern thrill. 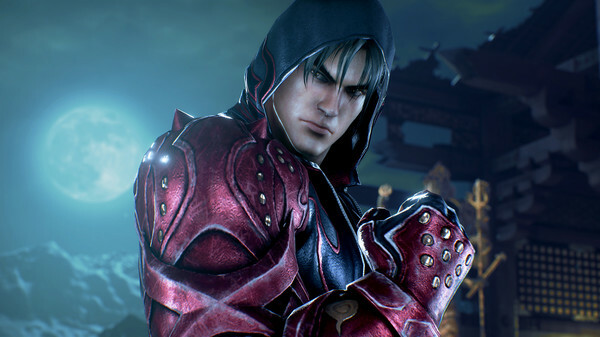 If you didn't play 3, you should play Tekken 7, if only for the experience.